← Great article worth sharing! 9 Steps to crafting alluring blog posts! Did you know 61% of consumers report they’re more likely to make a purchase from a business that creates reliable custom content? And marketers who have made blogging a priority are 13 times more likely to receive a positive return on investment (ROI)? In fact, nearly 60% of SEO professionals report blogging as a top inbound marketing tactic. Keep reading for a helpful guide to blogging, from creating topics and writing your posts to incorporating SEO best practices and promoting your articles. If blogging is part of your digital marketing strategy, you may find it difficult to constantly develop new topics. A strong blog topic needs to be created with the reader in mind, useful, timely, informative and simple. The first step to coming up with new blog topics is the brainstorm. Set aside time each month, and don’t be afraid to ask a friend or colleague for help if you need some fresh ideas. Also make sure you keep a notebook handy or a file on your phone for ideas; you never know when inspiration will hit! Create an editorial calendar to clearly lay out your ideas and develop regular features, such as a monthly product review or bi-weekly recaps of industry news. By planning three, six, nine or even a year at a time, you can see the overall structure of your content topics. Looking ahead like this will also allow you to include upcoming events important to your business, industry and community. It also helps to change up the format of your blog posts. For example in one post you could create a list post, where you literally feature a bulleted list of helpful ideas or tips for you readers. Then, in the next post you could write a “how-to” or do-it-yourself article that showcases your insight, tips and tricks. You could also interview industry leaders or employees, or write a post of curated content – just make sure you credit original sources. 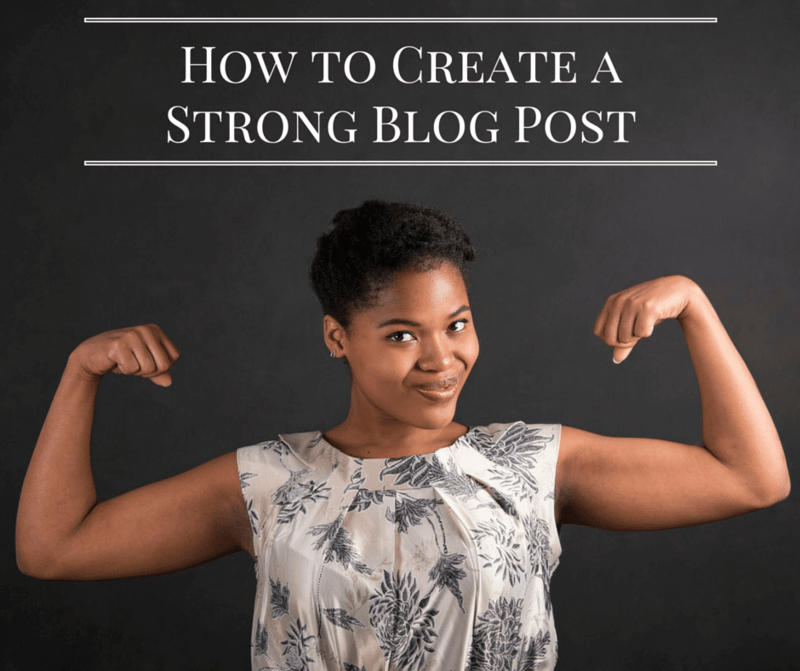 Now that you’ve come up with the next topic, it’s time to think about how to make your posts powerful for your readers as well as the search engines. Spend time on the title. 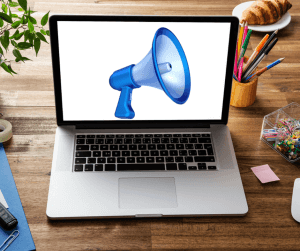 It needs to catch your readers’ attention, clearly explain what the post is about, tell your readers why they should care, be short and concise (about 6 words is ideal), include a keyword for SEO and include numbers, questions and/or strong, active words. One strategy is to write the headline last so that it will naturally form based on your content. When it comes to the content, don’t write just to be writing. Make sure each post provides value to your readers and reflects your brand’s voice or personality. In addition to writing well with a clear message, it helps to include current statistics, trends and industry news. You can also make it timely by relating the post to current events or the current time of year. 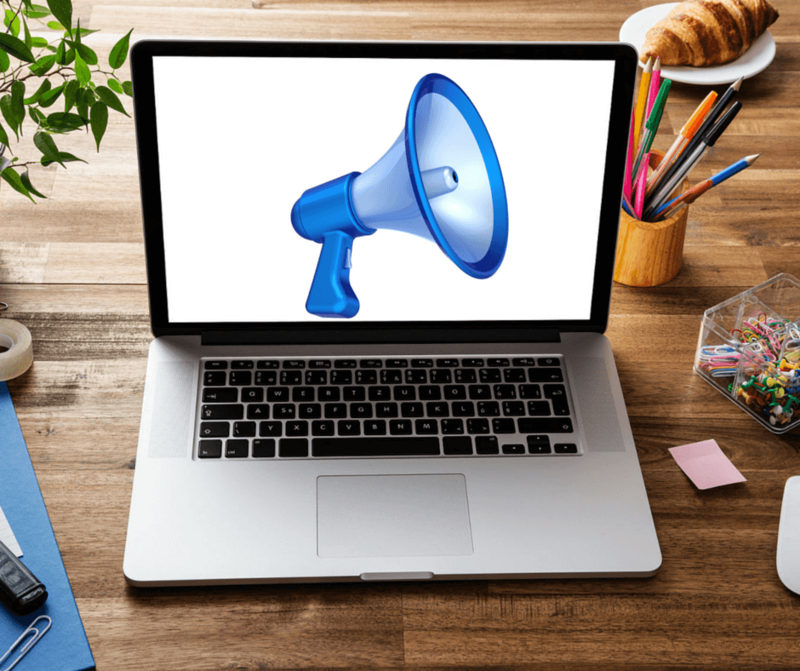 Be sure each blog post includes a call to action, too! Ask your readers to comment, share the post, contact you, sign up for your newsletter, etc. Consider your blog post’s formatting. Strong content isn’t enough for readers’ short attention spans. Make sure your post is easy to digest by using formatting to your advantage. Include sub-headlines, use numbered and bulleted lists, break up chunky paragraphs with quotes or images and add charts and tables to support your content. Include at least one visual in your blog post, if not more. Research shows articles with images receive 94% more total views than those without. Select clear, crisp high-res images that are engaging and related to the post’s content. Make sure you have a right to use any images you use, too. 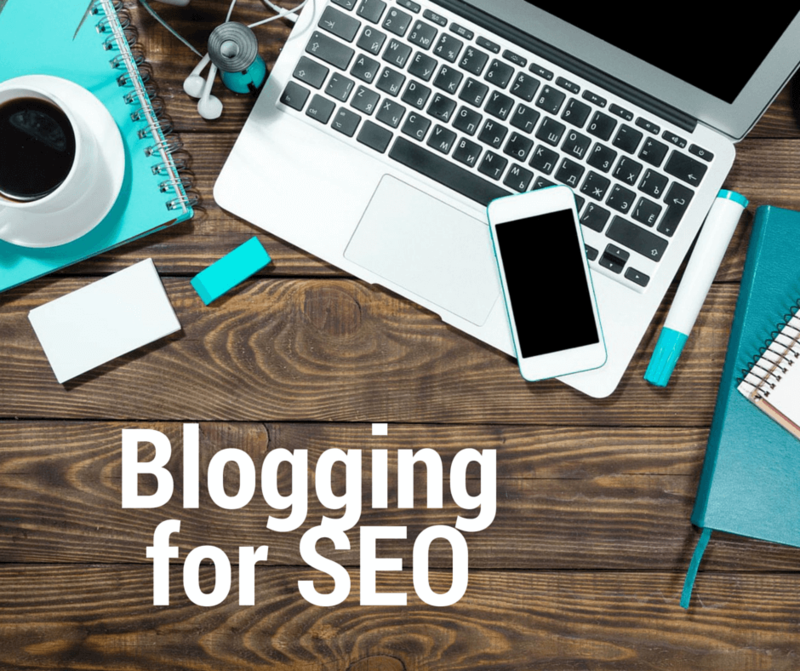 When blogging as part of your digital marketing strategy, it’s not just enough to write posts your readers will want to read and format them for your readers; you also need to think about SEO(search engine optimization). Here are a few best practices to make part of your blogging efforts. Consider frequency. For strong SEO, it’s important to be consistent – down to your posts going live the same day of the week and time of day. Active blogs engage readers better, which also translates into better search engine rankings. With this in mind, publish new blog posts a minimum of once per week. Think about length. Keep the following length guidelines in mind for various parts of your blog post. Title: 50-60 characters, or about 6 words long. Body of Post: The most recent research is showing that it’s best to aim for about 1,500 words. Meta description (the quick summary that shows up under the title): 150-160 characters, or about 1-2 sentences. Use header tags. The post’s title should be H1, but after that use header tags H2-H6 as often as you’d like. This is a great way to break up the content so it’s easy for the reader to use, in addition to the SEO benefit. Include internal links. These can help readers find other interesting articles on your website, plus they’re good for SEO. Use quality outbound links. By linking to other decently-optimized websites with information relevant to your blog post, Google will recognize your website as one with strong links. Look at analytics. You won’t know which posts are bringing traffic to your website unless you track the data. Install Google Analytics to get helpful information about who’s visiting various pages of your website and for how long, and then actually look at what the data is telling you. What do you do after you’ve written and published a blog post? You need to encourage readers to read it! Share it on all your social media platforms. Customize each update for the followers on that specific site. For example, when you share it on Facebook, make the update more casual than when you share it on LinkedIn. Also, depending on which networks you use, add a few relevant hashtags to make it more visible. Pay to promote your post through social media platforms. In fact, over the past year, bloggers using paid promotions for their posts saw increased traffic by 93%. Dedicate a portion of your newsletter to your blog posts. Introduce them in a new and interesting way to catch the eye of your readers; don’t forget to include an image, too! Set some time aside to read other blogs and comment on the posts. Write something with additional insight about the topic and keep it friendly yet professional; also remember to add a link to one of your helpful blog posts about the same topic. Share your post in appropriate LinkedIn discussion group. Just make sure the group you share the post in is open to self-promotional posts! Some don’t want you to link to your own website. Do a simple search in Twitter on your blog post’s topic and see if others are struggling with it. If you can reply, share your post and help them out; they may also share your post and username with their followers and the circle goes round and round. If you think your blog post is perfect for certain customers, send it to them directly. Add a personal message and make them feel important. Syndicate your content using the RSS button on your website. This feature is a great way automatically update your readers to your new post; it even sends it directly to their social media pages! This entry was posted in Uncategorized and tagged Blogging tips. Bookmark the permalink. 1 Response to 9 Steps to crafting alluring blog posts!